Most lawyers have had clients who complained when they were billed for a phone call, or who were shocked when their call wasn't answered at 11pm on a Saturday. Yes, some clients are clueless, but that's not just their fault. The billable hour is an anachronism in many lawyers' eyes, but it can be a flat out mystery for clients. Even if you explain it in your fee agreement, don't expect them to read that fine print. Many clients will be flabbergasted when they get your bill and see they've been charged for things like phone calls, texts and emails. If you want to avoid potentially frustrated clients, make sure they understand what you will charge them for and how much it will cost. This is especially important for new and unsophisticated clients, who might think that a five minute phone call really shouldn't matter. As a lawyer, you're your clients' advocate and champion; but you're that for all of your other clients as well. This is something clients can forget -- that they are just a small part of your overall business. That text they don't want to be charged for? Well, they do want you to respond to it in seconds. As with billing, make sure that your client understands your availability. Should they schedule every visit or phone call with your secretary? Will you be able to get back to them on evenings or weekends? Answer these questions from the get go to avoid disgruntled clients claiming you're neglecting them. 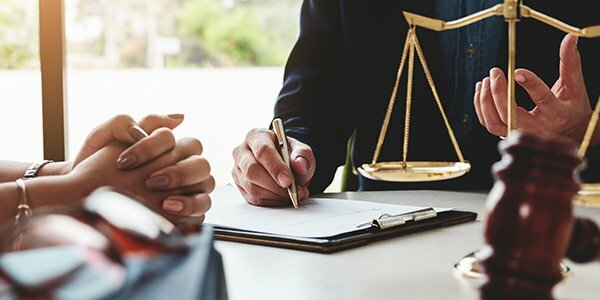 We know that most issues don't actually make it to trial, but your client might not. Very few criminal matters and even fewer civil ones go to trial. Often, this is good news; research shows that plaintiffs often get more from settling than trying a case. Giving the client a roadmap of how you expect their matter to proceed can help them develop reasonable expectations. Be sure to let them know what a possible timeline may be as well. Sadly, unlike T.V. lawyers, we rarely resolve matters in just 45 minutes.